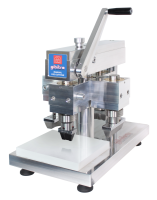 Gibitre Tensor Check is a fully programmable tensile-testing system suitable for testing mechanical characteristics of materials including rubbers, plastics, composites, adhesives, leather, etc. 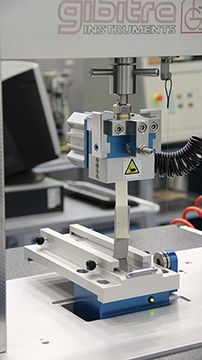 The instrument permits to perform traction, compression, hysteresis, peeling, flexural and shear tests. Double screw structure with recycling of ball-bearings designed for the application of load cells up to 20 kN. A wide range of Load cells, operating in traction and compression, can be installed on the instrument. Auto-detection of the load cell installed. Measurement of the crosshead displacement with 0.0025 mm resolution. Advance speed can be adjusted from 0.2 to 1000 mm/min. Safety limit switch for adjustment of the slide stroke and automatic return on termination of the test. 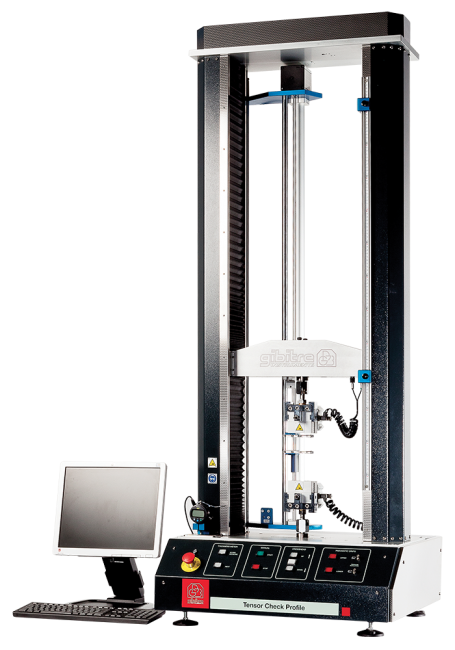 The software includes a wide range of pre-defined test procedures in compliance with international standards (traction, compression, peeling, hysteresis, flexion, etc.) and the possibility of creating fully customized test procedures for non-standard tests. Direct sample thickness acquisition from digital centesimal thickness meter connected with the instrument (optional) and automatic calculation of the cross-section depending on the type of sample selected. 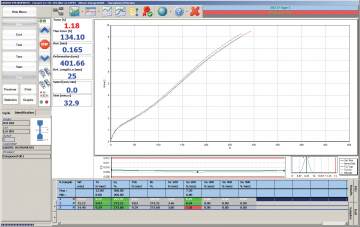 Display and printing in different colors of the relative test curves for rapid test identification. Checking of whether results comply with tolerance limits and relative statistic analysis (Mean, median, St.dev., Max, Min, Cp, Cpk). Stretch gauge for differential extension measurement with resolution 0.01 mm. Thickness meter for direct acquisition of sample thickness in compliance with ISO 23529 and ASTM D 3767 standards. Test Chamber for the performance of tests with controlled temperature (between -40°C and +250°C). 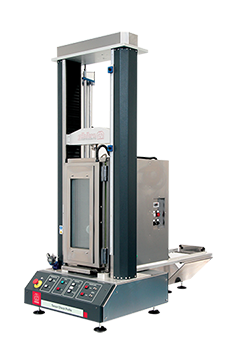 The environmental chamber can be manually displaced from the test area to the back of the instrument for testing with or without temperature control. Differential extensometer to be installed inside the chamber is available. 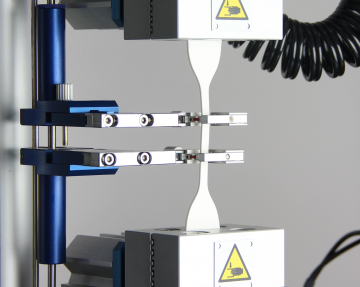 Wide range of grips for traction, compression, peeling, stress relaxation tests for standard or customer-defined tests. 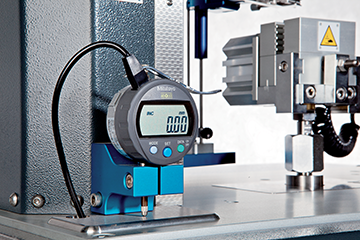 Integrated Thickness meter in compliance with ISO 23529 and ASTM D3767 standards. W 240 x D 230 x H 600 mm.